Sports Geek is a sports digital agency that offers expertise in sports technology and digital sports marketing to allow you to focus on your core business. We help sponsorship & digital teams work together to drive results for sponsors and engaging content rich campaigns that your fans love. 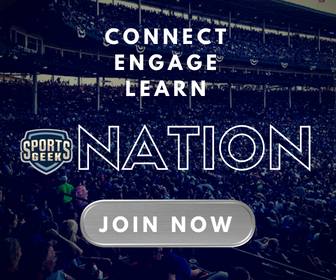 Sports Geek stays at the forefront of sports digital and technology trends through our weekly Sports Geek News to keep clients and the sports industry informed of how to better serve fans to extend the match day experience to the digital world. Sports Geek has worked with clients around the world. We know what digital sports fans “like”. Sean Callanan understands the sports digital landscape. He founded Sports Geek in 2009 after a 15 year career in IT development. Connecting sports, fans & sponsors using technology is his mission. He has worked with professional teams and leagues to understand what content fans want, how to develop digital teams to deliver that content and how to commercialise digital fans with membership, merchandise and sponsor promotions. Sean is a highly sought after public speaker and the go to resource for under-optimised digital teams. Sean is an emerging stand up comedian who made his debut performance in the Melbourne International Comedy Festival in April 2018. You can hear him on his weekly podcast, Sports Geek, the top ranking sports digital podcast on Apple Podcasts and Google Play where he interviews sports business professionals around the world.